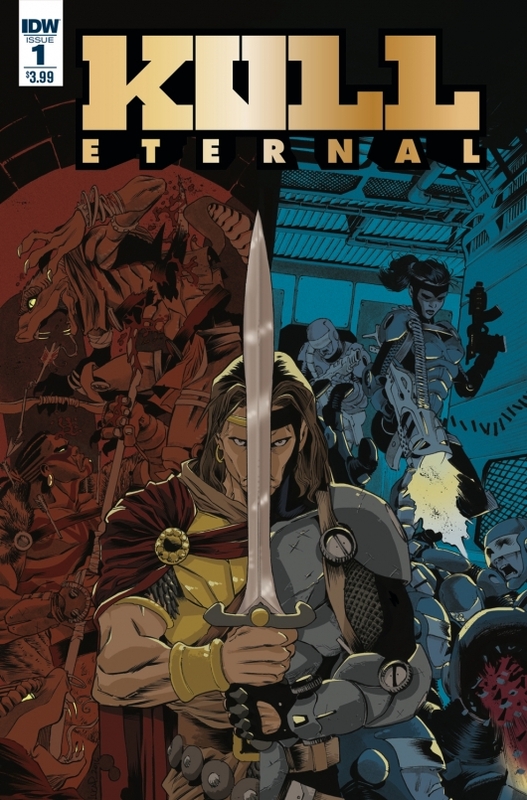 The creative team for this comic is certainly taking that whole eternal concept to heart; they begin the premiere issue in modern times, though it features a king of a long forgotten land. Long has he stood against the forces of evil, slaying any who would seek to destroy mankind. In the centuries between, he has been many things but always a stalwart defender of the human race. I feel like we will see much of this colorful history as we watch him protect his fellow man once again in this wonderful new series. Grab this comic and enjoy; I absolutely recommend it. Robert E. Howard’s legendary barbarian king returns! The evil Serpent Men have attempted to infiltrate and enslave mankind from the time of the very first humans… only to be defeated at every turn by the Elder Race’s ultimate warrior… Kull of Atlantis! And now they must call on Kull once more, as the Serpent Men make a last-ditch gambit to first conquer America… and then the world. 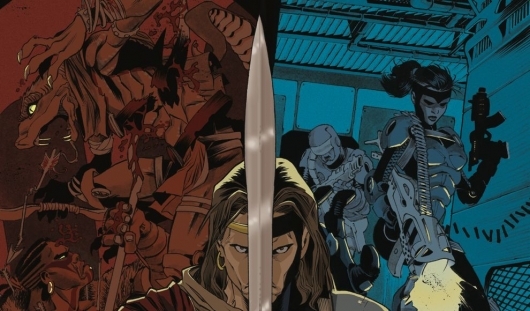 Kull’s long journey has come full circle-once a small boy who lost Old Atlantis to a monstrous cataclysm… now a modern warrior who must save the New Atlantis from monstrous creatures! Robert E. Howard’s legendary barbarian king as you’ve never seen him before!